In 2014, Pastel, a Holstein heifer, was born at the Foremost Dairy Research Center. 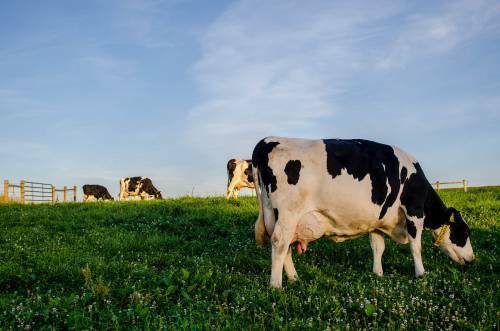 The calf was one of 20 to be tested using a genomic DNA panel, marking the first time that any cattle at Foremost Dairy had been genetically tested. Pastel’s strong score sparked an interest in genomics for Denbigh. In the four years since her … Expand ▸Pastel’s strong score sparked an interest in genomics for Denbigh. In the four years since her birth, Denbigh and the Foremost Dairy Research Center have been recognized for their use of genomic testing to strengthen the Center. It has become standard procedure to test each calf that is born at Foremost Dairy. A major surprise was in store for Farm Manager John Denbigh. Pastel’s Holstein Association USA’s Genetic Total Performance Index (TPI) was well above average for the time, coming in at 2561. Pastel was recognized as the second highest rated red carrier Holstein calf in the country when she was tested. Pastel sold for $25,500 at the Missouri State Convention Sale a few months after her birth. She was added to a New York dairy in hopes of improving their breeding program. Pastel’s strong score sparked an interest in genomics for Denbigh. In the four years since her birth, Denbigh and the Foremost Dairy Research Center have been recognized for their use of genomic testing to strengthen the Center. It has become standard procedure to test each calf that is born at Foremost Dairy. The TPI number takes into account numerous factors, including feed efficiency, productive life, fertility index, somatic cell score and calving ease. Those factors, along with several others, are plugged into a formula to produce a specific number. The strongest calves with the best genetics ring in with the highest scores. Denbigh said the timing couldn’t have been more perfect for Pastel. Genetic testing was starting to become more prevalent during that time period and 10 or 12 calves at Foremost have actually outdone her number since that time. 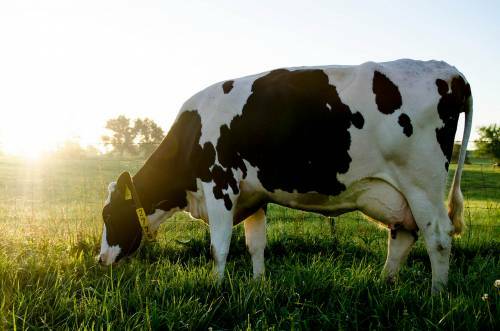 The TPI number takes into account numerous factors, including feed efficiency, productive life, … Expand ▸The TPI number takes into account numerous factors, including feed efficiency, productive life, fertility index, somatic cell score and calving ease. Those factors, along with several others, are plugged into a formula to produce a specific number. The strongest calves with the best genetics ring in with the highest scores. After seeing success with the original genetic testing, Denbigh started testing all of the cattle at Foremost Dairy. The cost of $40 per calf has been a small price to pay for the information. The genetic numbers have allowed Denbigh to build a herd of the strongest cattle possible. Denbigh said Foremost Dairy has recently had an overpopulation of replacement calves. He has now been able to go through the heifer pool and keep the most productive cows. “When we started, our TPI scores averaged 1800 or so,” Denbigh said. “Those scores are closer to 2000 now. We’re still behind the big numbers, but we have seen good improvement. Denbigh has put in a lot of work studying the sires he selects for breeding purposes. That selection process can be tough, as the turnover is incredibly fast for bulls. A bull that is popular today could be replaced by that bull’s offspring a few months later. After seeing success with the original genetic testing, Denbigh started testing all of the cattle at … Expand ▸After seeing success with the original genetic testing, Denbigh started testing all of the cattle at Foremost Dairy. The cost of $40 per calf has been a small price to pay for the information. Along with their genetic numbers, Denbigh looks at the type for bulls he selects. Type is a reflection of the physical makeup of the animal. Currently, Denbigh is using the genetic information for management of the Foremost Dairy herd. He’s hoping to be able to integrate that information into research projects at the Research Center as well. Denbigh is also looking to stay up-to-date on upcoming trends. 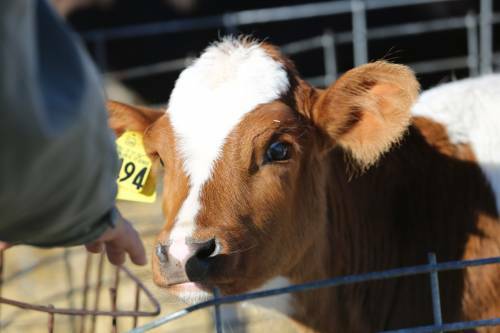 For example, polled calves, ones without horns, are becoming more popular. Denbigh found a red, polled bull to mate with a heifer at Foremost Dairy in hopes of producing a red calf that would be polled. The cross worked well. “You wonder how much is luck and how much is planning,” Denbigh said. “Cows have twins sometimes – we even have one set of milking twins and have had others over the years. The twins can be completely different. You don’t always know what the results are going to be when you do something like this.